Summer has come to Canada and it's nice to sit at the top of the climb contemplating what is about to unfold. 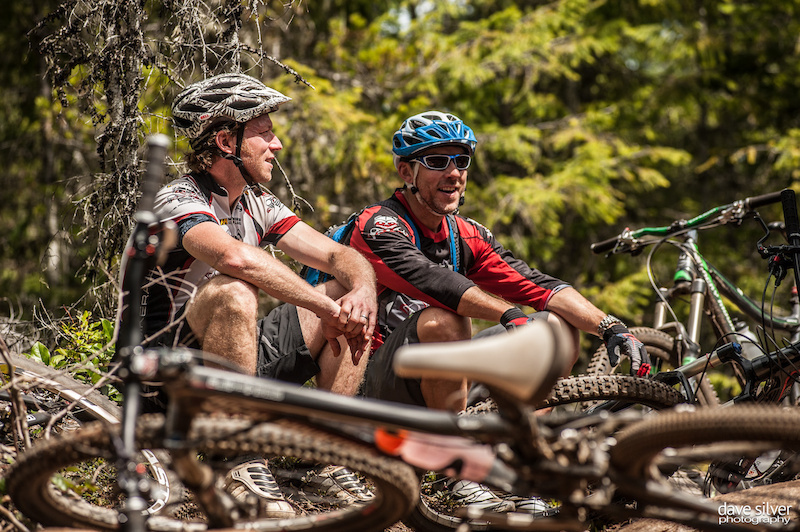 Bear Buns is an amazing trail, and deserves some friendly chat before dropping in. Like a start ramp to the pleasures of Xanadu, it's a simple formula; drop in and wipe that smile off your face! Cumberland abounds with awesome features, seeing it from this perspective gives some proportion to the forests we are traveling through. 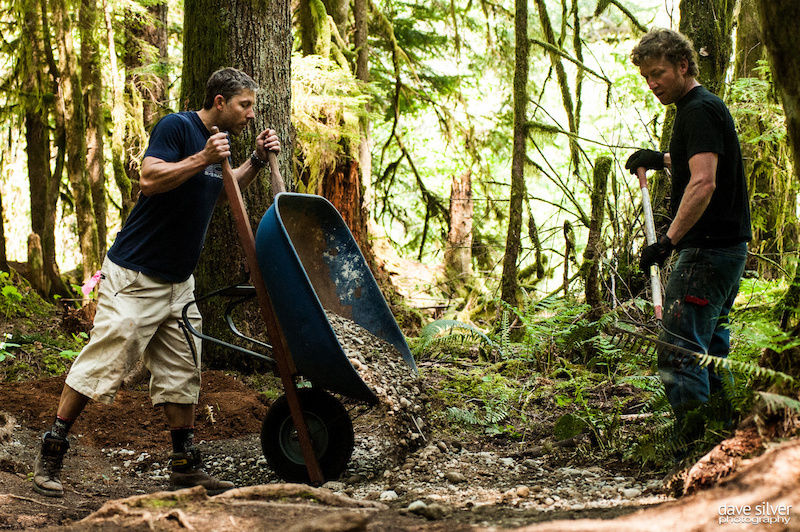 The effort to build and the passion to create are evidenced in every piece of trail here! Dean 'El Presidente' rocking out on 'Thirsty Beaver', caption really not needed, the smile says it all. 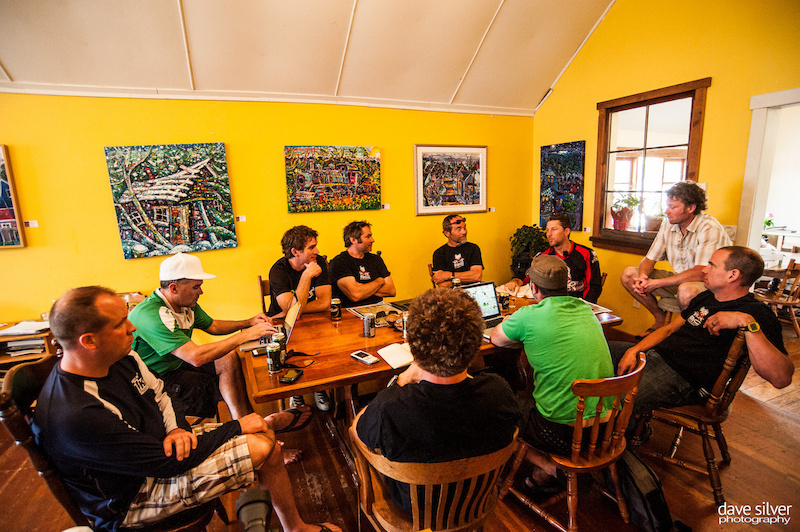 After ride bevies with the course control and course managers, the true characters of BCBR, guys who eat and breath biking. This is where the real ideas come to fruition! Looking at maps, talking turkey post ride - while the fire is stoked we harness that energy and passion into a little project we call the "Ultimate Singletrack Experience". Already talks are underway for 2013 and how to make things even more 'fun'! Tools of the trade, let the builders be recognized, here, here! We supply the labour and every hour of honest work goes a long way towards future dividends! It's not easy and it's not glamorous but after all the hours we have ridden in blissful enjoyment, giving back feels pretty good. Remember, one Trail Boss and the rest of you just "shut up and shovel"! Martin Ready 'Island mountain Rides' takes a quick spin on the fresh new line we have just laid down, I think he's giving it the thumbs up! 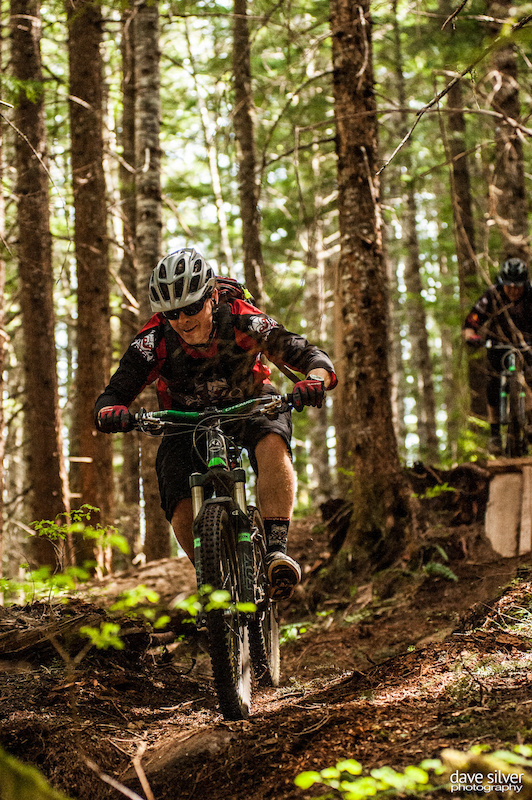 Watch for the start of BC Bike Race- July 1, opening day Cumberland. That is the right comment I think. Went and rode the DH course there last week although it was raining so hard we could barely see it was awesome!! Would love to compete next year on the DCDH and it blew my mind how much of a biking community was out there. Cumberland is unreal. I grew up on the North Shore and thought that was a biking community. I moved to the island three years ago and its unreal over here particularly Cumberland seems like EVERYONE bikes there or has something to do with it. I went there the first time last week and rode DCDH and a few other trails although it was raining and everything was soaked it was an awesome time. That is easily one of the best short vids of Cumberland I've seen in awhile. And huge thanks to BCBR organisers for their work on the end of Space Nugget.........so smooth and should hold up well this coming winter. Long live BCBR. Moved to Canada in 08 and volunteered to help with the BCBR 'circus'. I was lucky enough to see a lot of the smiles first hand of the days riding in Cumberland. I also spent some time with Martin as we spent a few days moving rider luggage around!. I have since been back and ridden with Martin who does nothing but smile, shred and ooze mountain biking - see you soon mate, heading island bound soon...! Went to Cumberland last year for the DCDH race. Absolutely loved the place!! 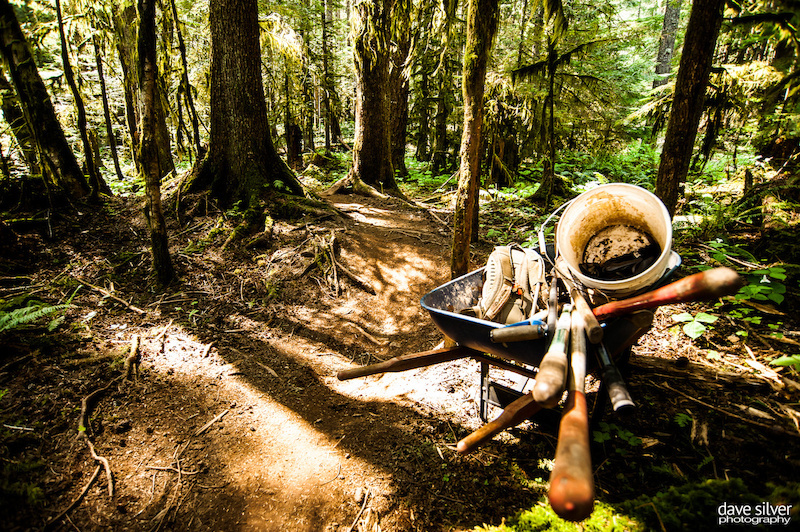 Trails everywhere and chill people who live to ride. 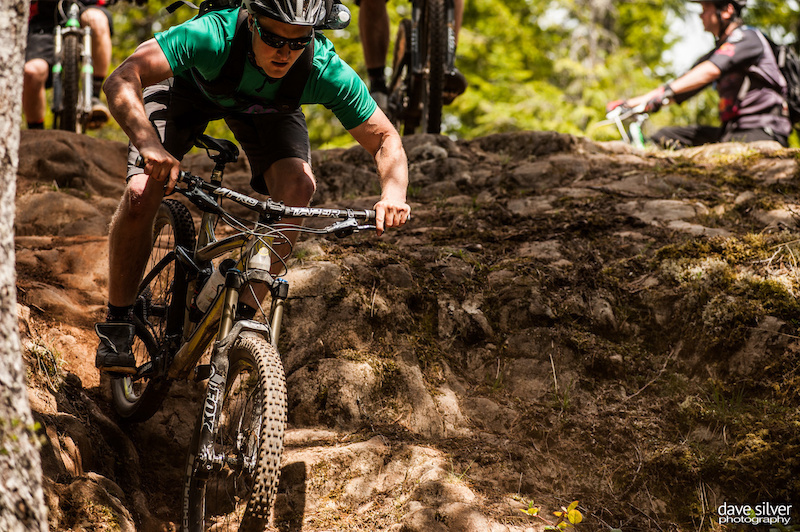 Go and stay at the Riding Fool hostel and prepare to never want to leave. I love MY Island! From the North tip, to the South end. V.I. ROCKS! Done that, been there....(2008 & 2010)....and I am still smiling. What a "race"!! 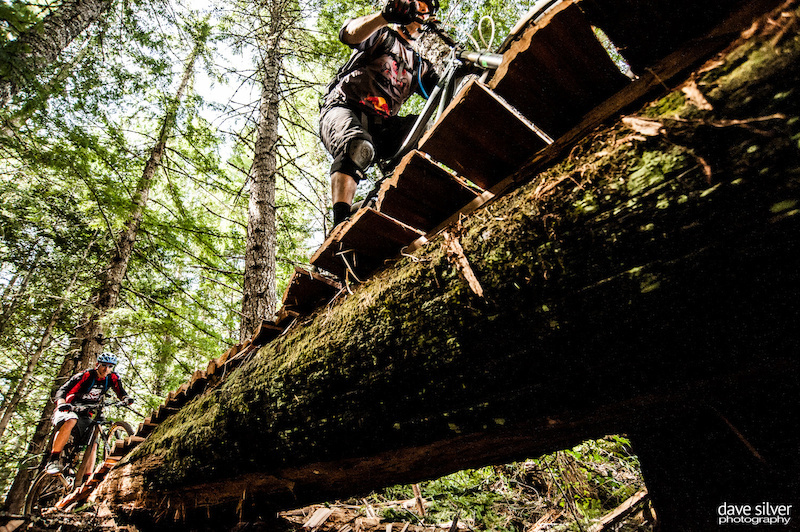 I always thought the Cumberland trails were very freeride oriented, i.e. above my skill level . Now I want to put those trails on my bucket list . 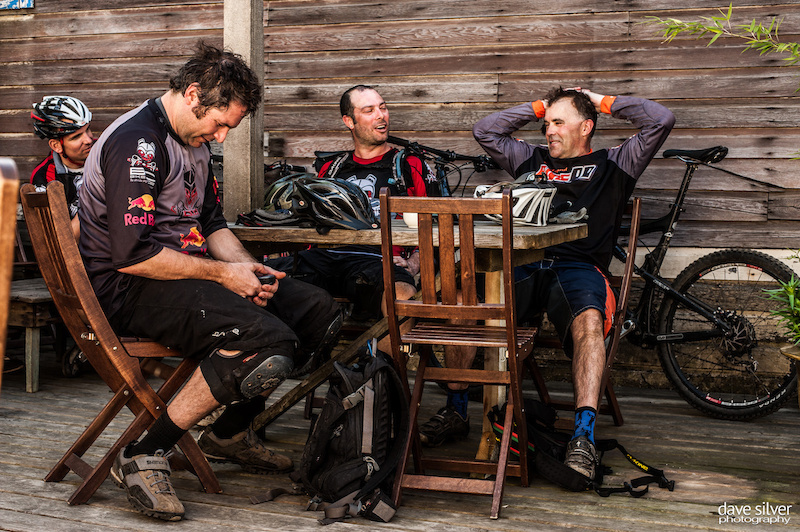 I've ridden with both Dean and Jeremy. Both super cool guys. Where do I get one of those tool trailers (1:15) to attach to my bike? I NEED that. Makes me wanna turn some dirt !! Used to live there...why did I move to Germany again??? Good memories though. 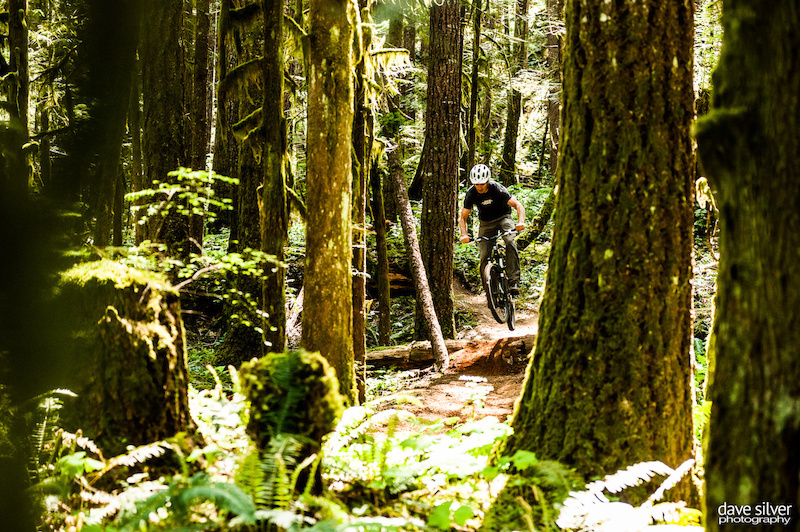 Come up to Campbell River,and experience some of our epic trails. Gotta love a nice Pacific NW rainforest on a sunny day... looks BEAUTIFUL. Do it . Follow that dream, know a lot people who have moved here from poland, russia, romania etc. Visit the Canadian Consulate and see what you need to do .